Solo female travel in South East Asia? Yay or Nay? 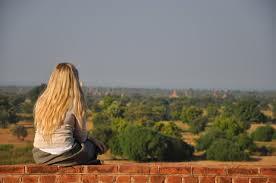 South East Asia – in many travellers’ opinions, are the safest place to travel solo on earth. It’s pretty easy for you to just wander around for months. No wonder many gap year students has come and have their eyes wide opened to another exotic cultures and there are so much to learn before they get back to your homeland. So the answer is YES, you can do a solo trip in SEA. Everywhere you plan to travel solo, of course you will need to make a little homework about the place, probably buy a guidebook in advance, or contact a local agency to pre-book some services that you definitely not want to miss in the season. (I have heard of people who decide to go on hot air balloon while they were in Bagan, Myanmar but it was all fully booked since the others had on the list for months before). Keep in touch with your family/ friends. Buying a local SIM card is cheap and easy, most of them has 3G or 4G service available now so you can use WhatsApp, Viber. Many places has free wifi too. Facebook, Instagram, Bolg or any other apps that you prefer. Make sure to tell your them that if they don’t hear from you by every 4-5 days, they should contact some people locally to check on you. Don’t be alone or try to walk alone at night time. If you don’t like group tours, I don’t blame you, I don’t like to be herded around either. But you can join a group tour for a short length (for ex: 1 day trek, 2-3 day cruise). When you are back to the hotel at night time and want to go have a drink, stay at a well-lit place with a lot of people. Most of the time being alone, the chance of being attacked is higher. Bag snatching can happen anytime so keep your day bag close and secured. Don’t show off your Iphone, Ipad or expensive jewelry. Cameras also need a secured string to attach with your wrist or neck. Sexual harassment is rare, but again, trust your guts instinct. Asian is not big at hugging or kissing on the cheeks so it’s pretty easy compare to Western culture to keep a safe distance to the local males. Book tours & accommodation from recommended places by other travellers. TripAdvisor, Lonely Planet and the other travel forum can be great sources to find information. Solo trip is the way to find your own world, or a perfect way to mingle with other travelers and locals. So don’t be afraid, pack up and go!